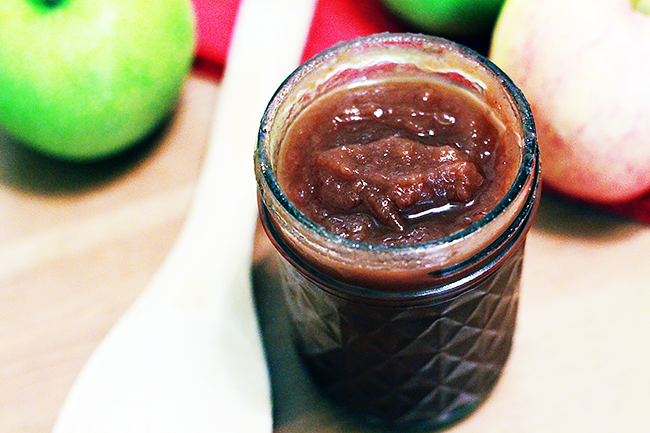 Aside from pumpkin, apple is another undeniably fall flavor favorite and that includes apple butter. 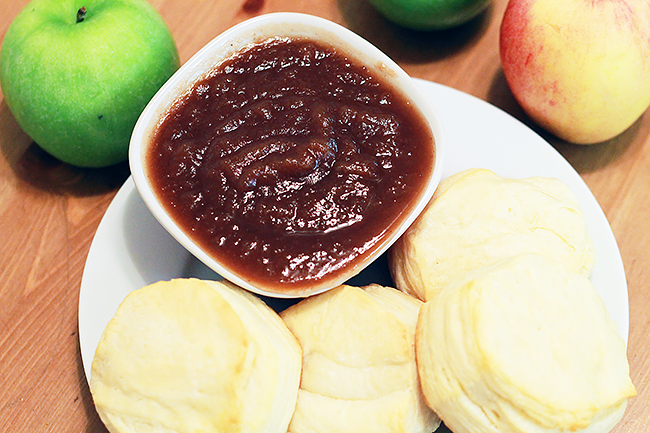 Sweet, tart and insanely yummy, apple butter is perfect to add on biscuits, pancakes, crepes, pork chops, ice cream, these apple butter rolls… or just eat it by the spoonful. I won’t tell! Place the peeled, cored and sliced apples in your slow cooker. In a bowl, whisk together the sugars, cinnamon, nutmeg, cloves and salt. Sprinkle over the apples and stir to coat. Cook the apple mixture on low for 10 hours. After 10 hours, stir in the vanilla and break up any large chunks of apple. Replace lid and cook an additional 2 hours. If you want a thicker apple butter, leave the lid ajar so the steam can escape. Puree the apple mixture using an immersion blender or food processor. If you’d like it thicker, you can leave in the slow cooker on low for longer, otherwise let it cool and then transfer to jars. Keep in the fridge for up to two weeks or freeze. Enjoy!